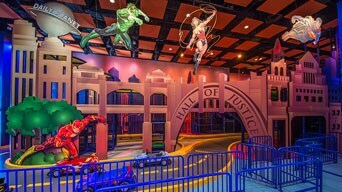 Occupying an area of 32,000 square feet, the Warner Bros. Fun Zone is a mega indoor playground themed around characters from Warner Bros., DC Comics, Hanna-Barbera Productions and Looney Tunes entertainment franchises. 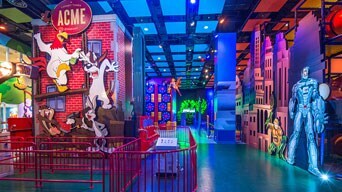 Kids and their families can enjoy their play time in the zone packed with interactive games and rides and bring home an unforgettable fun experience. Opening hours: 10 a.m. to 7 p.m.